While national politics continues to be dominated by a single topic (don’t mention the B-word) we can at least focus now on some Bristol-focused news to provide a welcome relief! March offered us some wonderful sunshine and provided a spring like feel to most of the month, and the City Office is also seeing green shoots and new buds of development… In our update this month, we reflect on some key partner events which included national praise for Bristol activities, some really good news stories, as well as sharing a sequence of events for getting involved in activities throughout the year! At the City Gathering in January this year, a vote was taken for the City Office to support three key topics in 2019 – All three are dynamic and evolving, and in order to promote these with the right narrative, the terminology used to describe them has already been updated; Tackling and preventing street violence and street conflict (formally gang violence and knife crime); Creating Period Dignity in Bristol (formally Ending Period Poverty); Develop an affordable childcare and nurseries scheme within three local neighbourhoods (no change). This month we’ve worked with partners across the city who are leading key projects on these topics and learning from them about the fantastic work taking place, as well as discussing with them how the City Office can add value and broaden participation and engagement in positive action. We aim to showcase some of these excellent projects shortly and offer some updates on our involvement. This month we were proud to support a visit from the Minister for International Development – Lord Bates – to hear about the excellent work happening in Bristol around the Sustainable Development Goals. Lord Bates has praised Bristol for leading the way in a city-level approach and the visit reflects the fantastic partnership work happening between the University of Bristol, Bristol Green Capital Partnership and the City Office. Due to this, it is likely that the activities in Bristol will be included in a Voluntary National Review being undertaken by the UK government and be presented to the United Nations later in this year. Even better than that, as mentioned last month, from the beginning of April, our colleagues from University of Bristol will be conducting a city specific SDG Progress Review which will also be completed in time to feedback to the UN summit. This is a truly exciting initiative that demonstrates Bristol’s leadership in using the SDGs as a city framework – we are the first city in the UK to undertake a review of this kind. The research team are inviting organisations across the city to tell them about their actions and contributions and will likely be in contact shortly, we’d really value your participation and support. You can complete the survey by following THIS LINK. Also this month we worked with our colleagues at the City Funds to host a workshop with partners from across the city to help inform our approach to developing a city-wide indicator framework. This framework will include a set of key indicators which will relate to specific challenges in the One City Plan and also support the City Funds in targeting areas for social investment and measuring impact. This work is an important step forward in developing the sophistication of the evidence base used for the One City Plan as well as the development of a City Dashboard which will provide access to open data sets as well as a single city-wide view on key statistics over time. If data and metrics are your thing, then you can already access open data sets via the Bristol Open Data Platform and also see the latest State of the City: Key Facts 2018-2019 recently published by Bristol City Council. This month was bookended by two really great events… In the first week of March, we ran an engagement session with the Bristol Youth Council on the One City Plan – we’re always pleased to meet with such engaged and passionate young people and had some fantastic conversations with them about their priorities for the future of Bristol – after all they will be the future leaders driving things forwards – we’ll be continuing to work closely with them this year and will even be joining their Away Day later next month. While on the very last day of the month, City Hall opened its doors to a heady mix of over 150 academics, public sector, voluntary and community organisers who joined together at the Bristol Forum. The event was a collaboration between the University of Bristol and the University of the West of England, among other partners, with the aim to inspire positive action through research and collaboration. This meant an exciting array of workshops and panel discussions throughout the day alongside an action-focused marketplace, interactive games and walking tours, all aligned with the themes of the One City Plan. In order to help with diaries for this year, colleagues have asked that we share the complete programme for 2019 City Office Drop In Sessions, please see below. We’ll continue to advertise these closer to the date with a separate email and Eventbrite link, which helps us to manage numbers and any last minute updates to the schedule. City Office partner, Professor Robin Hambleton (UWE) has written an article ‘Can ‘One City Planning’ break new ground?’ which has been featured in a leading industry magazine ‘The Planner’. It outlines some of the key features of the approach taken for One City Plan and describes how the Plan is indicative of a distinctive new way for cities to harness collective ambition and set long-term local priorities. We’re pleased to announce that the City Office will be aligning with city-wide leadership development programmes – Stepping Up and Bristol Leads – offering some placements later on this year, details to be shared via relevant channels. A key document which will inform the refresh of the One City Plan this year is the Bristol Local Plan from Bristol City Council. 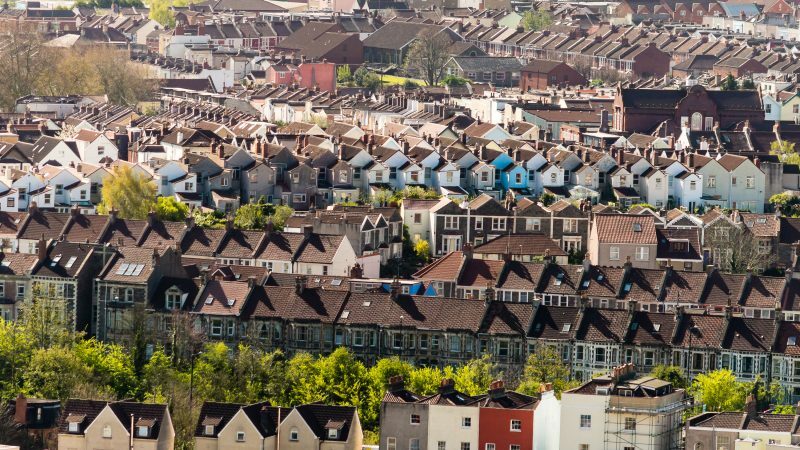 This plan is currently out to consultation and you may be interested in providing your input – The new Local Plan will set out how Bristol will develop over the next 20 years. It will help deliver the new homes and jobs we need and safeguard the environmental assets we value. You can comment on any of the proposals set out in the consultation until 24 May 2019.